We are excited to introduce the amazing upcoming model, Riana Adams who is seen active in the modelling scene as one of the new faces these past years. 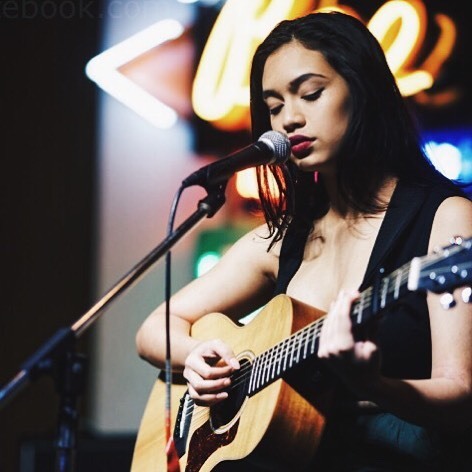 This 19 year old beautiful lady who is pursuing her Bachelor of Arts (UniMelb) also has an amazing singing talent. This multi-talented young lady definitely got our attention and we hope yours too! Read our exclusive interview with Riana Adams down below on her journey in the modelling industry while getting to know some personal facts about her too! Hi, I’m Riana! I’m turning 20 this year, I was born in Australia but moved to Malaysia when I was only 2, so Malaysia has a very important place in my heart. I’ve recently moved back to Australia for university but I try and come back to visit as much as I can. I’m a big lover of all things art related, from music to visual art to film. 2. We can’t help but realize that you sing and perform as well. Let us know how you first started? 3. We also discovered that you are starting your modelling journey as well. What made you step into the modelling line? Again, I started modelling quite young too! I think my earliest memory of modelling was a Tupperware advertisement I did as a toddler, mainly because they kept giving me free food. I took a break from modelling when I went into high school, but now I’m excited to continue on this modelling journey as see where it takes me. My mother was actually a model too, back in the day. Her stories of being in pageants and in magazines were all so magical to me as a child that I really wanted to follow in her footsteps. I’m lucky that my parents are both so supportive of my endeavours, whether it’s music or modelling I don’t think I would’ve gotten anywhere if it wasn’t for their support. 4. Describe us your sense of style. It’s kind of difficult to describe because I think it’s always changing! My taste in fashion is pretty diverse and I really want to experiment more with my personal sense of style. When I was younger I was really into the whole alt-rock subculture, so my style was really centred around that for a while. But I feel as though now my sense of style changes on a day-to-day basis, one day it could be very streetwear inspired and the next I could be trying to channel chaotic 90’s energy. 5. Sneakers? High heels? Boots? All and everything in between! 6. What is one favourite item in your closet do you wear the most? Honestly, I wish I could say it was something edgy and fashionable but it’s pretty much just this oversized khaki hoodie I’ve had for years that I got on sale at H&M. It’s the most comfortable thing I own. 7. Being a model, having healthy skin condition is important. Please share with us your skincare regime. I just drink a lot of water and eat fruits! Sike! I’m fortunate enough that I was able to seek help for my skin because growing up I had severe eczema, from that I had to be really careful about what I eat and what products I use. I try to use products that have naturally derived ingredients and I also try to stay away from heavy makeup on a daily basis. When I do wear makeup, I make sure I thoroughly remove all of it before I go to sleep or my skin will react in the morning. At the moment, my holy grail product is the Tatcha Pure One Step Camellia Cleansing Oil. 8. Name your favourite lipstick shade that you love pulling off on a day out. 9. Share with us what are your beauty must-haves that you bring whenever you travel? Moisturizer and lip balm 100%. 10. Name us three supermodels who are your idol? 11. You have a great figure and some may wonder how you maintain it. Tell us how do you stay fit and healthy? Hahah, thank you! I’m still pretty early on in my fitness journey and a lot of how my body is coming down to genetics. I try and remain careful about what I eat due to health issues, I used to be a strict vegan but now I try and maintain a mainly vegetarian diet. Living in Melbourne, I also walk everywhere and go to the gym when I can, so also that helps. But when I’m back in Malaysia I love love love going for spin cycle classes. 12. If you could have any job in the world for one day, whose will you take? Honestly, not because I’m a fan of his in any way, shape or form but it would be interesting to see what Elon Musk does in a day. All this knowledge and power and yet he’s such a...strange man. 13. f you are stranded on an island and can only bring three things with you, what would it be? My phone, water and um, a boat. 14. Name us somewhere in the world that you would love to visit if you had the opportunity. Either the Netherlands or Japan! 16. What would be one thing that people will be surprised to learn about you? I’m actually half Singaporean, I just grew up in Malaysia. 17. What is your weirdest pet peeve? Love both the beach and the city, it’s impossible to choose! 19. Name one thing that every woman should do at least once in their life. Stop caring about men’s opinions. 20. What is the best piece of advice someone has given to you about being a model? Just focus on yourself and your journey rather than getting caught up in other people’s drama. Are you inspired to be a model? Or you just fell in love with Riana? If you are, do follow her on Instagram @rianaevett. Newer PostShould You Make a Move on Your Crush During Valentine's Day?